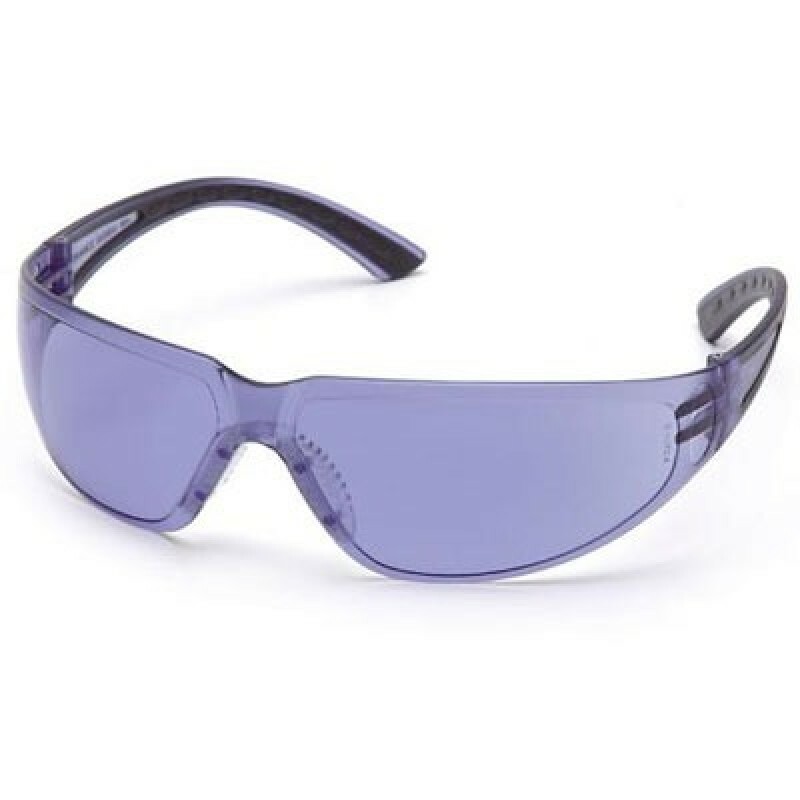 The Pyramex Cortez safety glasses feature a ribbed, cushioned nosepiece that fits a wide range of facial sizes and protects against slippage. The Cortez has durable dual injected polycarbonate and rubber temples and a single lens design that provides maximum protection. Lenses are coated for superior scratch resistance. The Pyramex Cortez lenses provide 99% protection against harmful UV rays. Lens: Purple Haze - Enhances contrast, commonly used in medium to low light conditions.